This post written by Brenda over at Homeschool Diaries is pretty funny! I especially liked number two. 2. She often mumbles to herself, and claims she’s having a parent-teacher conference. 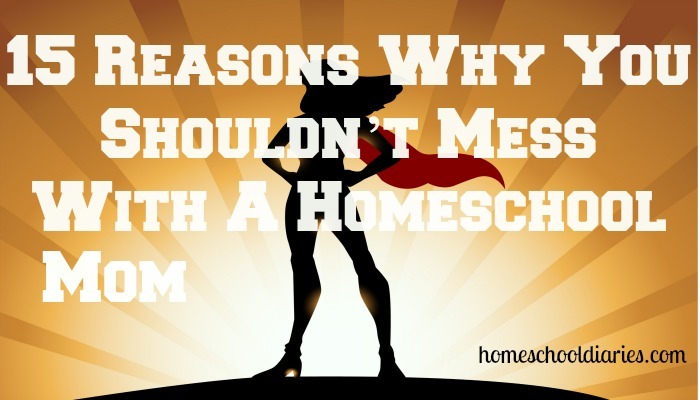 Some may perceive this as craziness, to the homeschool mom, it’s normal. I think I need to have Scott write a guest post on this blog from the Homeschool Graduate’s point of view. Click Here to check out the rest of her fun post! Is that a great analogy or what? Sorry to public school parents–no offense meant, but having been a public school teacher, well, let’s just say I can identify with that comment all too well! 🙂 Great to begin a Friday with such a good laugh! Thanks!